'Numerous' criminal charges are pending against Robert 'Bobby' Tucker, a 'person of interest' in area burglaries, after a chase that ended in a crash Monday. 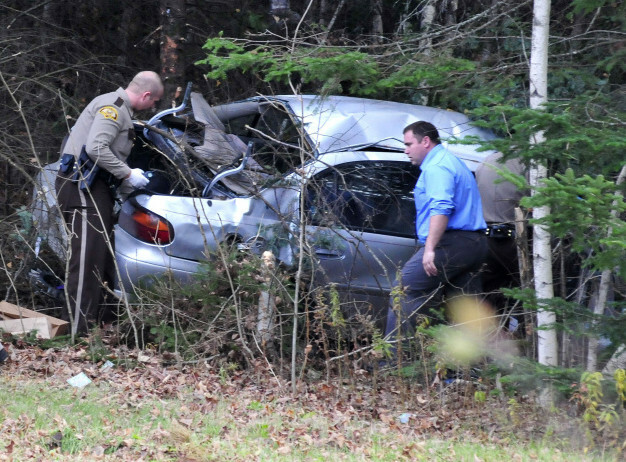 A North Anson man who allegedly took police on a wild, high-speed chase Monday through three towns in Somerset County, ending with him crashing his car in Cornville, was listed Tuesday in critical condition at a Bangor hospital. “Numerous charges” eventually will be brought against Robert “Bobby” Tucker, 45, Somerset County Sheriff Dale Lancaster said Tuesday. But those will wait as police continue to piece together the events from Monday’s chase as well as a burglary investigation in Waldo County, which is where Monday’s saga began. “There will be no charges lodged today,” Somerset County Sheriff Dale Lancaster said Tuesday afternoon. “There will be numerous charges ranging from serious traffic violations to felony criminal charges. Monday’s events began after Maine State Police detectives questioned Tucker at a home in Dixmont in Penobscot County in connection with a burglary in Troy in Waldo County. 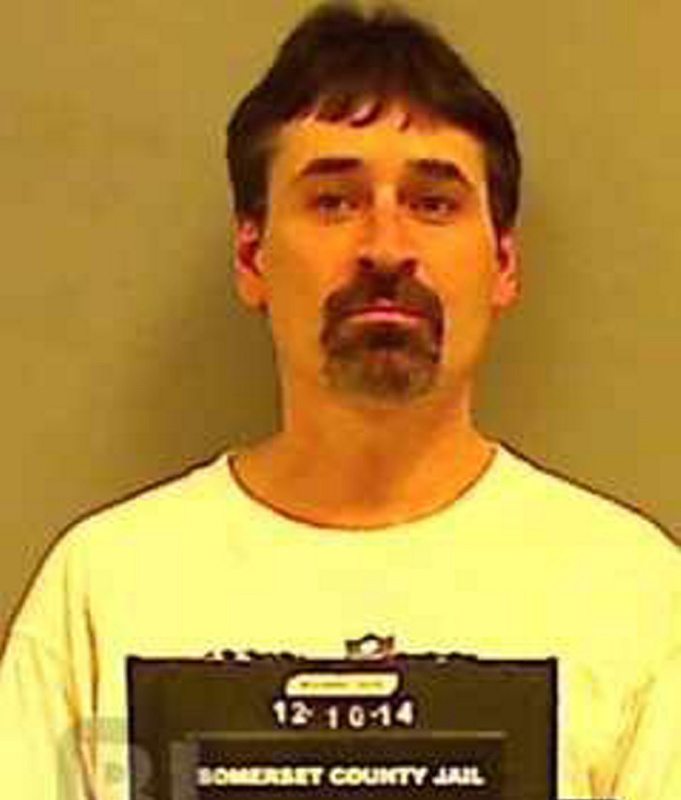 Tucker ran off and ended up in a 2002 Chevy Malibu, which police spotted a couple of hours later in Madison. Sheriff’s deputies gave chase down U.S. Route 201, where a county patrol truck was damaged in an accident near the Skowhegan town line. Police later suggested that Tucker had the car waiting out of sight in Dixmont. Tucker also was a “person of interest” in burglaries in the Hartland and St. Albans area, according to the sheriff’s office. With deputies in hot pursuit Monday from U.S. 201, Tucker took off at speeds reaching 100 mph, taking police through East Madison and into Cornville, where he skidded off Huff Road and into a stand of trees. A LifeFlight helicopter took Tucker from Redington-Fairview General Hospital in Skowhegan to Eastern Maine Medical Center in Bangor. A hospital spokeswoman said Tucker was in critical condition Tuesday. In Tucker’s vehicle at the crash site on Huff Road in Cornville, police found a face mask, rubber gloves and an Airsoft handgun along with possibly stolen items, according to Lancaster. The Chevy Malibu was destroyed. The county patrol truck in the earlier crash on U.S. 201 sustained front and right passenger side damage. Both passenger-side tires were flat, Lancaster said. Tucker, who is a convicted felon, has a history of fleeing from law enforcement when confronted. He and his younger brother, Scott Tucker, also have a long history of burglaries, having served time in county jails and in the state prison. Earlier this year, Bobby Tucker, then of Lewiston, was arrested on a probation violation and was given a nine-month sentence with the state Department of Corrections and his probation was partially revoked. The Tucker brothers have a history of run-ins with police dating back to the 1980s. In 2003, the brothers were arrested on 10 counts of burglary and theft in four counties after being released from eight-year prison terms for similar crimes, according to a published report. The brothers also were arrested in 1994 and 1995 on various burglary charges. Bobby Tucker was moved from the old Somerset County jail in Skowhegan to the “supermax” at the state prison in Warren because he was a security and escape risk, then-Sheriff Barry DeLong said at the time. The brothers escaped a state police manhunt in the woods of Caratunk in rural Somerset County in 1995, stealing a vehicle and driving to New Hampshire. They attempted to dye their hair blond in North Conway, New Hampshire, but the color came out orange and they were spotted immediately and arrested.